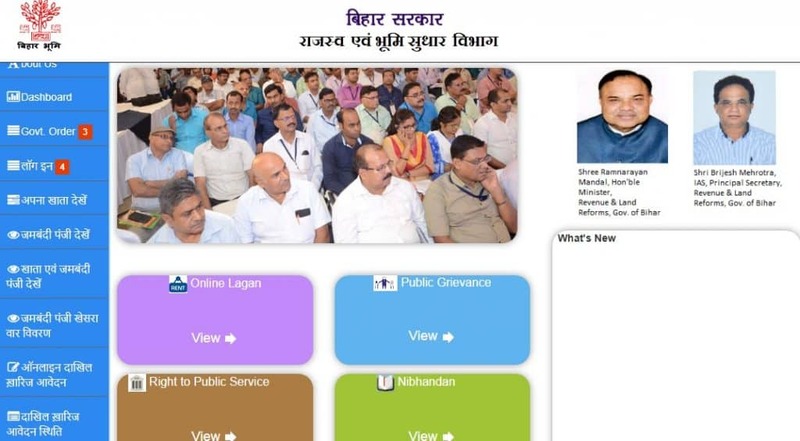 CM Nitish Kumar has launched facility for online land mutation (dakhil kharij) records, payment of land tax and linking of district registration offices with circle offices in Bihar. Now people can complete land mutation work on their own (suo motu) and complete land tax payment through the online property registration website at lrc.bih.nic.in. Moreover, the details of “Apna Khata (New Survey)” has been provided in the land records by Bihar government. Bihar govt. is consistently working hard to maintain law and order in the state. Land disputes are a major reason behind 60% of the criminal cases and thus the online facility would help in controlling such land related crimes. Deputy CM Sushil Modi, land reforms minister Ram Narain, chief secretary Deepak Kumar and other senior officials of the department concerned were present on the occasion. At the homepage, click at the “Online Mutation” link present at the right side of the page. 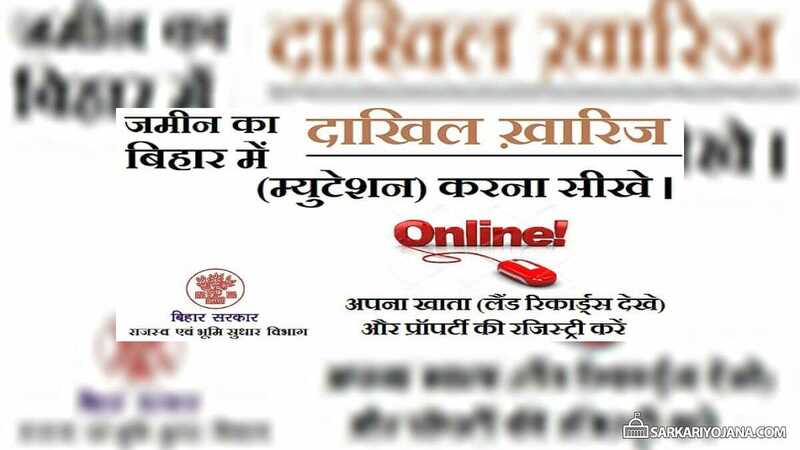 Direct Link – click http://164.100.150.10/biharbhumi/ to check land records. 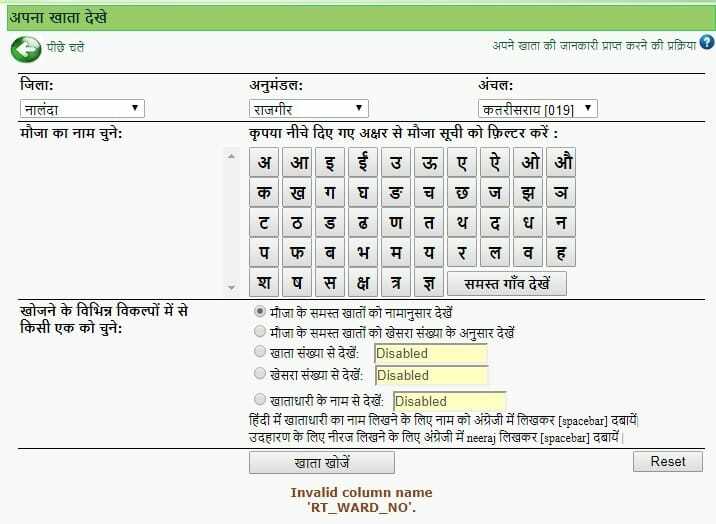 Here candidates can view their account (apna khata), jamabandi khata, dakhil kharij status (application status of online mutation) etc. In case of any query, candidates can call on the helpline number – 18003456215. Principle secretaries, chief secretaries and DGP of dept. would hold monthly meetings to monitor and track the progress of land mutation. Other related works like works at circle / block levels and feedback from DM and SP’s concerned would also be monitored. Here candidates can perform advanced search by selecting registration office and from/to registration date. All the DM and SP are asked to hold meetings to get feedback on disposal of cases at block / circle offices. Moreover, police station in-charge and circle officers will meet every Saturday to dispose off the land dispute cases. Once the survey and settlement work is completed in all districts, land consolidation work and digitization of land records would also be started.